Danger! Men Cooking! : Anchovie Paste - Forgotten Masterpiece or Trivia? 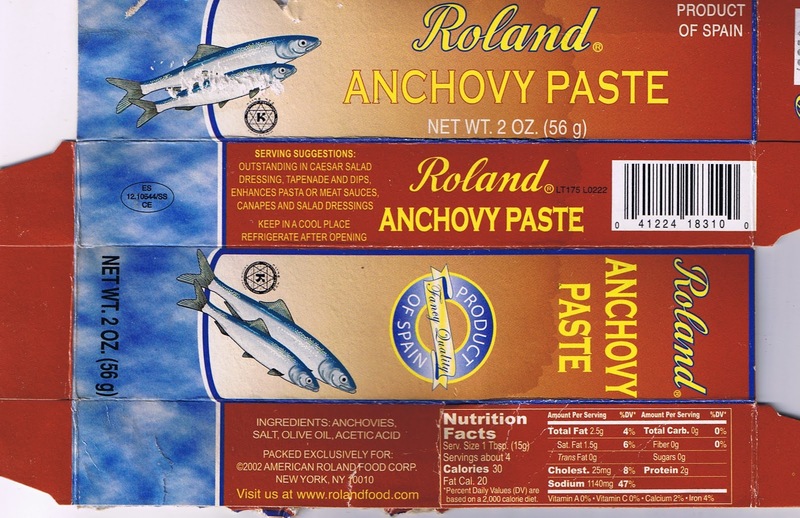 Anchovie Paste - Forgotten Masterpiece or Trivia? 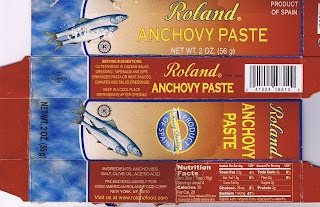 My brief on Anchovie Paste. Any brand will do. My local Italian Deli has Roland's brand. I'm uncertain that the anchovies care which brand they make, so why should you. That is to say an anchovy is an anchovy. which calls for anchovy paste. And Sherry Wine Vinegar. And green olives. And is a nice change from mayo dressed salad. And while I don't like the use of a variety of colors of small 'taters, the recipe's flavors are unusual for potato salad. I cannot understand how the color of the 'taters makes the salad taste better. The anchovy paste, being gray in color does give the salad an funny color but it has a wonderful taste. 'Nuff said. I won't give the whole recipe, you can click the link, above.